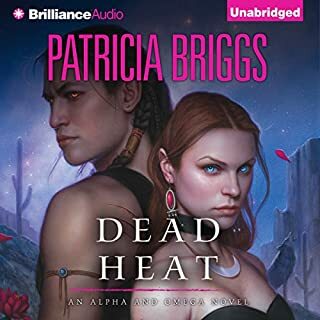 Patricia Briggs is one of the few authors that never disappoint. This book was no exception. The characters are so real, the story is exciting, and again I am anxiously awaiting her next book! Alpha wolf Ridge Addison left his wife in Las Vegas, vowing to put their one reckless night of passion behind him and return to his clan. Thirteen years later he needs a divorce so he can become pack leader. Yet he's never forgotten the sensuous witch whose life he saved...Or the knee-buckling kisses he still craves. After they parted, Abigail tried banishing Ridge from her memory. Now her heart belongs only to her son. But when the boy is kidnapped, she knows she alone can't save him. Good story very credit worthy. No real story here. Maybe a plot with some events that grab my interest, characters that make me care what happens to them. It was just the two of them for the part of the story I was able to get through, and they were really boring. 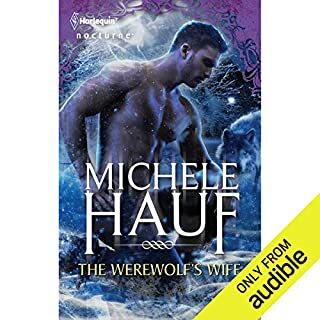 What could Michele Hauf have done to make this a more enjoyable book for you? Written a better, more interesting story. What didn’t you like about Sasha Dunbrook’s performance? It was flat, dull. Could be the writing, not much there for her to work with. No. I was hoping that her son would bring some chemistry, but I never even made it that far. Too much work trying to slog through this story. I don't understand how some customers rated this so highly. I'm confused. When a 15-year-old girl is abducted by vampires, it’s up to U.S. Marshal Anita Blake to find her. And when she does, she’s faced with something she’s never seen before: a terrifyingly ordinary group of people - kids, grandparents, soccer moms - all recently turned and willing to die to avoid serving a master. And where there’s one martyr, there will be more. What did you like best about Kiss the Dead? What did you like least? I didn't like much about this book, although Kimberly Alexis did a good job. Unfortunately, she was reading what sounded like filler text much of the time. It was like a student writing a term paper, trying to fill pages by saying the same thing over and over. Too much junk filler, not enough story. I would be less inclined to buy anything by her. I might take out from the library, but not likely waste my money again. She makes each character's voice so distinct and individual that it almost seems there is more than one person reading. Could you see Kiss the Dead being made into a movie or a TV series? Who should the stars be? No, there's not enough story. It would be about twenty minutes long. Shame that this author did such damage to her reputation by ripping off her loyal readers. She'd have been better off putting out a shorter book, so I didn't feel I'd wasted my time reading her filler text.